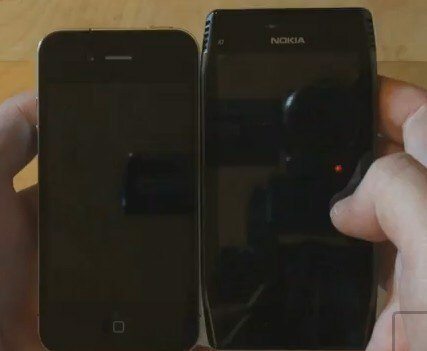 If you are one of the Nokia faithful still sitting on the fence pondering whether to pick up the Nokia X7 with its Symbain Anna operating system, perhaps a Nokia X7 hardware walkthrough video might sway your decision one way or the other, so we have that video for your viewing pleasure below. In the footage the guys take a look at the smartphone hardware, build quality and also do a couple of comparisons against other smartphones such as the iPhone 4, HTC Desire, and HTC HD2. The Nokia X7 offers a 4-inch AMOLED touch screen along with Gorilla Glass, 8GB memory card pre-installed, 8 megapixel camera with dual LED flash and 720p video, 350MB built in memory, and WiFi. That’s about it from me, so I’ll let you head on down to mash that play button if you haven’t already done so, and check out this hardware walkthrough with the Nokia X7…enjoy.